JK Shin's online confirmation about the Android-powered mirrorless camera has sent the tech world in a tizzy with lots of rumours and forum threads. Now the Vietnamese tech site Tinh te has put up a couple of images of the product, code named Galaxy NX. 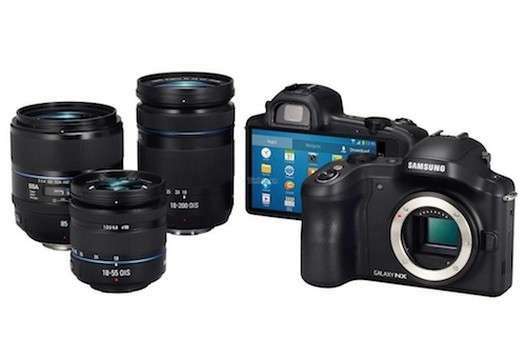 The Galaxy NX combines two of Samsung’s categories, the smart devices and cameras. The above are the first promotional shots put up by Tinh Te and clear up a few of the questions users and future NX buyers may have. From the shots seen, the Galaxy NX will feature interchangeable lenses, a proper viewfinder, an SLR looking body and a big rear display. 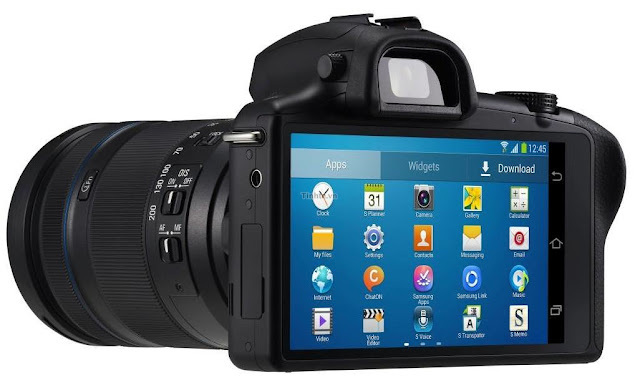 Further the Galaxy NX will be coming to the market with a 20.3MP APS-C sensor as well as a 1080p video recording feature, with a maximum ISO setting of 25,600. The camera will also sport either a dual-core or a quad-core Exynos CPU. Knowing Samsung, I will go for Exynos CPU as a favourite. The rear display will feature a high resolution 4.3-inch screen, which will have touch screen capabilities, according to Tinh Te. The promotional shots also show a signal strength metre on the display from which we can safely infer that Galaxy NX will have some kind of cellular radio. This is the furthest Tinh Te has gone and Samsung has not been so forthcoming about its latest launch. 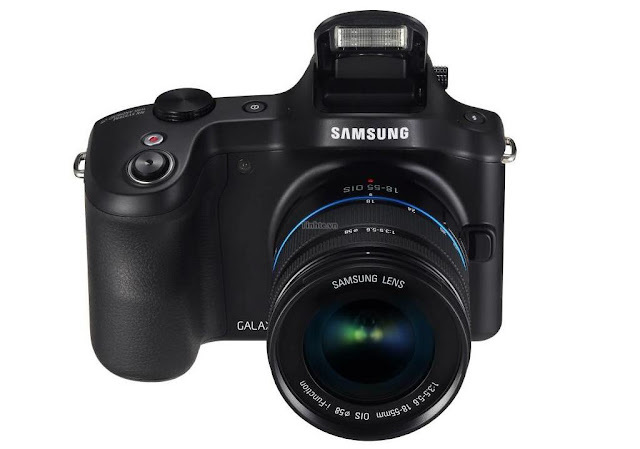 So we will have to wait till 20th June to know the actual specs and features of the Samsung Galaxy NX professional camera. I will post them as soon as they are available. Looks good. But no matter how much Samsung and Sony tries, for a photographer it's always either Nikon or Canon. Samsung have been trying to capture the whole electronics market. Right now they are getting a lot of appreciation among smartphone users. I feel they have an strategy of attracting professional camera users from other brands like Sony, Nikon and canon. Lets see how their strategy pans out.